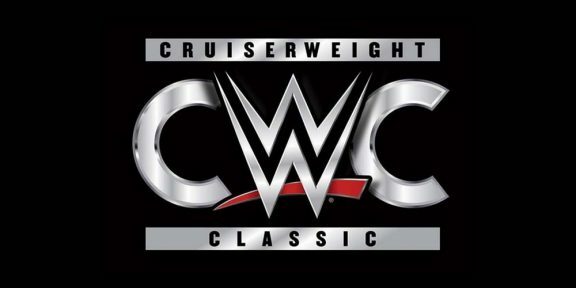 Raw is red, Smackdown is blue, NXT is yellow and now the Cruiserweight Classic is…purple! More like EVOLVE Wrestling purple. With the tapings held, fans inside Full Sail University got their first look at the staging and color palette which was used to present WWE Network’s brand new series. As reported earlier, the whole setup of the arena is completely different than what we see every week for NXT even though the same location is used. The first round of matches were all taped, revealing pairings. The spoiler-free preview of matches are Alejandro Saez vs Gran Metalik; Ho Ho Lun vs Daivari; Celemt Petiot vs Cedric Alexander; Brian Kendrick vs Raul Mendoza; Tajiri vs Damian Slater; Da Mack vs TJP; Mustafa Ali vs Lince Dorado; Akira Tozawa vs Kenneth Johnson; Zack Sabre Jr. vs Tyson Dux; Harv Sihra vs Drew Gulak; Tony Nese vs Anthony Bennett; Sean Manuda vs Kota Ibushi; Jason Lee vs Rich Swann; Noam Dar vs Gurv Sihra; Jack Gallagher vs Fabian Aichner; and Tommaso Ciampa vs Johnny Gargano.